Carla Shafer, friend and host to Bellingham’s Chuckanut Sandstone Writers Theater, and I have been invited to read poems at this event. 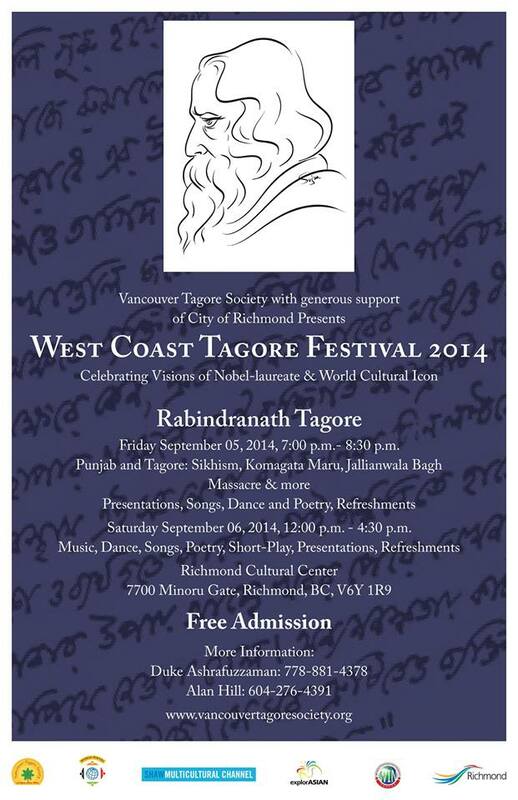 Last year I was moved by the presentation of Rabindranath Tagore’s life, (b. 7 May 1861 – d. 7 August 1941). The festival is a colorful gathering of true Tagore followers. A real treasure for the NW. Our lives will be carried apart, and our love forgotten. bring you at one draught and turn and run away from us. you have no time or thought for us!